Lake County Eye: A Mixed Meta Fore! 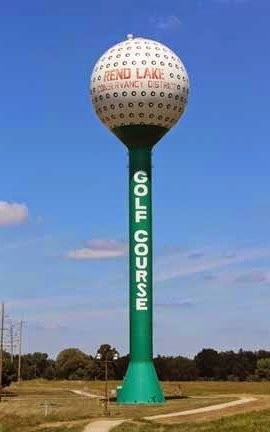 The proposed water tank would have the appearance of a large golf ball on a tee. It would be 175-feet tall and hold 2 million gallons of Lake Michigan water supplied by Gurnee's primary supplier, the Central Lake County Joint Action Water Agency. The golf pro at the Lake County Forest Preserves explained in a press release that God should approach this tee with a 3-wood or heavier. Everyone else should play it like any other water hazard. That's all your LakeCountyEye has. Please play through.